Challenge and delight your children as they practice their number skills by identifying the numbers 1 through 25 in unique images from the real world around us. 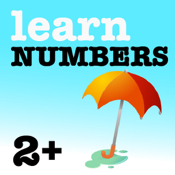 Learn to identify each number by its verbal pronunciation. Audio instructions help you choose the correct answer and congratulate you on a job well done! Play with your kids - let them listen to the instructions, then tap the play button to reinforce the number as they find it on the screen.